Plumbing issues lead to pest problems — there’s little doubt about that. 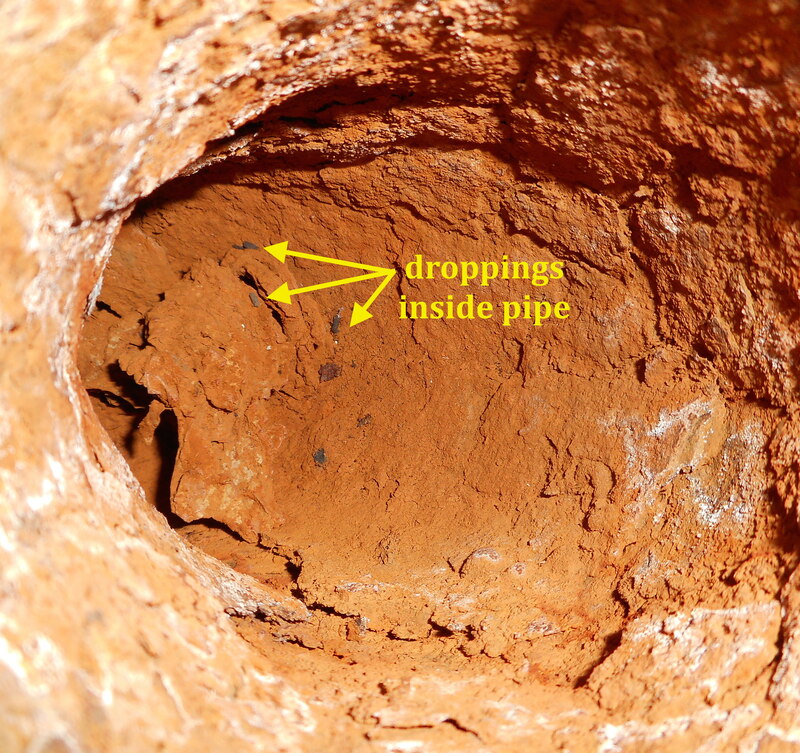 Leaks offer standing water to rodents, and clogged, scummy drains are breeding sites for flies. How curious that one of the most common plumbing-related pest problems I see is drains and pipes without water. Unused, uncapped drains are an open door for cockroaches and more. At a multi-story office building, workers reported the presence of waterbugs, aka American cockroaches, on unconnected floors. Sanitation at the site was great, and no obvious leak created harborage for cockroaches: both excellent IPM practices. But a thorough inspection uncovered an unused bathroom on one floor where the water had been shut off during renovation. Not only could we smell sewer gasses — this bathroom contained several dead American cockroaches, suggesting this was the source for that floor. On another floor a drainpipe in a mop closet was open, and we could see cockroach frass. A drain trap — and never mind the large gap at the wall. Exclusion is a whole different matter. 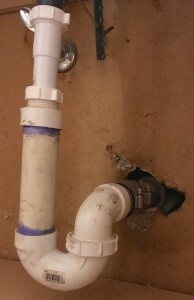 If you’ve ever looked under a sink, you’re familiar with a plumbing trap: that U-shaped pipe that changes the flow of water from vertical to horizontal. Its job: to create a water seal that prevents odors and harmful sewer gasses from escaping into the living or work space. 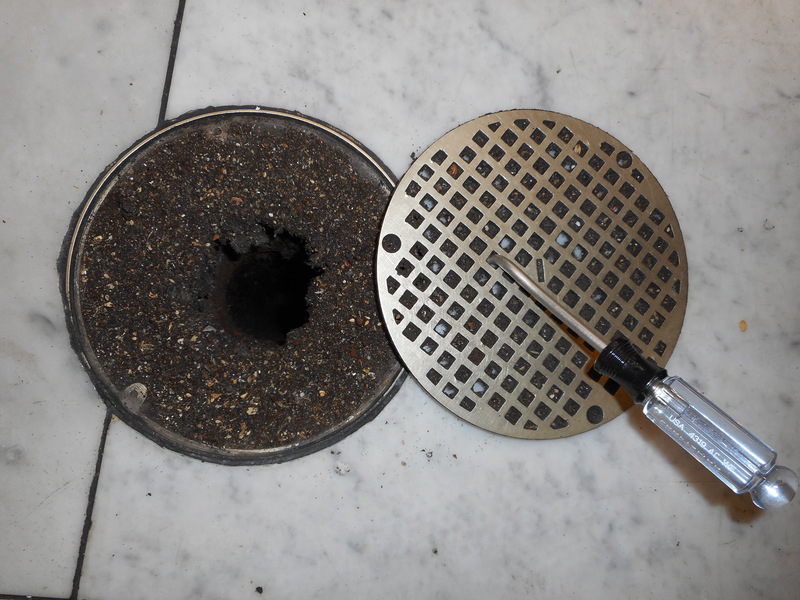 Each time the drain is used, fresh water replaces standing water in the trap to maintain a permanent seal. Uncapped, unused — except as a highway for pests. As side benefit, this design deters pests from using pipes to move within or between buildings. Sure, cockroaches and rodents (especially rats) can overcome plumbing traps by crawling through a small amount of water (see National Geographic video on rats in toilets). But when drains are regularly used, they’re unlikely to harbor pests. Water can’t penetrate clogged drains. Clean (drain brush or shop vacuum) and flush with water. Another core IPM practice: owners or facilities maintenance personnel need to check drains often to verify that water is present in the trap. Check them each time floors are cleaned. For traps that have dried out the solution is easy – pour water down the drain until the trap is full. While you’re at it, make sure that drains are clear of debris. 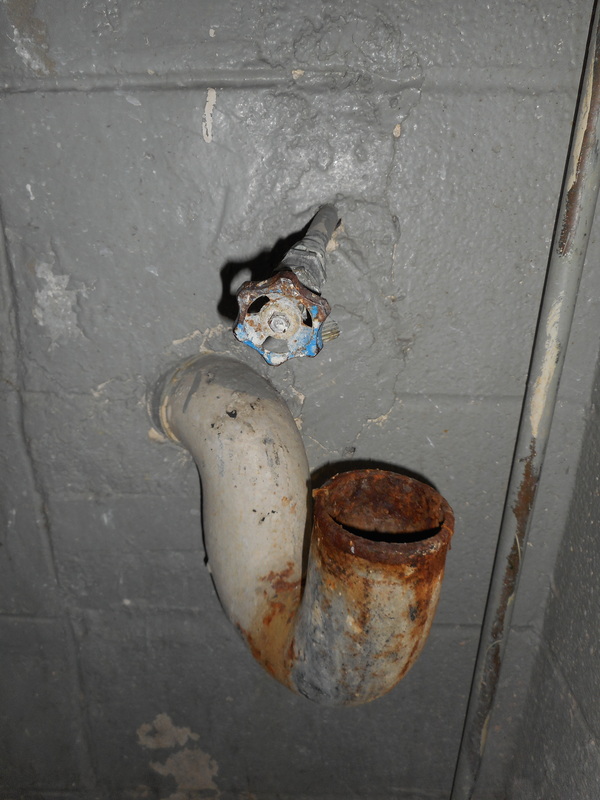 If the pipe is cut and no longer used, cap the end for a permanent seal.